Turning an audio clip into a realistic video of a person speaking those words usually doesn’t turn out well, but researchers at the University of Washington have developed a system that produces some amazing results. The team demonstrated their work by generating a surprisingly lifelike video of Barack Obama. 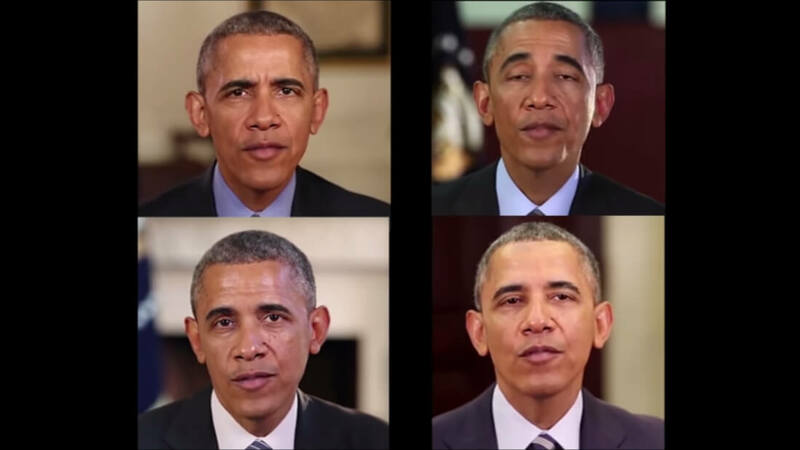 They trained a neural network by feeding it 14 hours of the former President’s weekly address videos. It was then able to create mouth shapes that synced with the audio clips of Obama talking about different topics. Finally, these were superimposed and blended over a clip of his face from another video (not the same one as the audio source). The process is almost entirely automated, and while the end result isn’t quite 100 percent perfect, you can see in the video below that it’s not far off. Previous attempts to create realistic video from audio has resulted in the “uncanny valley” issue. A term that describes manufactured human likenesses that can’t quite pass as being a real person, making them appear a bit creepy. While the process should make it easier to animate characters that appear in movies, TV shows, and game cutscenes, it does have the potential to be used for nefarious purposes, such as creating clips of political figures giving fake statements. But right now, it’s not easy to produce as it requires many hours of source material, and the same system could be used to identify fake videos.